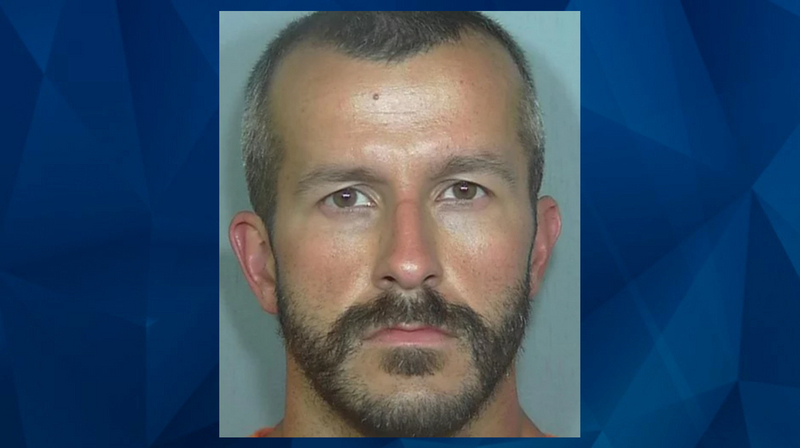 Discovery documents released by the Weld County District Attorney’s office have revealed more about the relationship between Chris Watts and his pregnant wife Shanann, along with the phone communication and online search activities of both the confessed family-killer and his new girlfriend, who he started seeing less than two months before he murdered his wife and two young daughters. The nearly 2,000 pages of documents, published in the Denver Post, show Chris Watts’s continued deceptions: He repeatedly denied he was having an affair despite his wife’s growing suspicions and pointed questioning, and also appeared to misrepresent the state of his marriage to his girlfriend Nichol Kessinger. As CrimeOnline previously reported, Kessinger, who worked as a contractor for the petroleum company that employed Watts until his arrest in mid-August, came forward to authorities two days after Shanann and her daughters Bella and Celeste went missing to report her relationship with Watts. In multiple interviews with detectives, she maintained that she believed Chris and Shanann were in the process of divorcing and that she had no idea Shanann was pregnant until she saw the media coverage about her disappearance. In one interview, Kessinger reportedly told detectives that Chris claimed he was unaware of Shanann’s pregnancy until the morning she disappeared. Additional interview notes show that Kessinger was aware Chris and Shanann still lived together, and had been to their home in Frederick, Colorado, twice during the month of July, when Shanann and the girls were visiting relatives in North Carolina. Kessinger told detectives that she had encouraged Chris to work on his marriage with Shanann, but Chris told her Shanann did not want to work on it. Correspondence between Chris and Shanann outlined in the discovery documents show that this was not the case: Shanann appeared to be heavily invested in saving their marriage, despite her suspicions about a credit card charge Chris made during the final weekend of her life that appeared to be too expensive for one person. According to interview notes and text message exchanges with friends detailed in the discovery documents, Shanann confided in several friends about her marital challenges, revealing that Chris had become cold and distant, and said he believed they were no longer compatible. The documents show that while Chris and Shanann were communicating about the state of their marriage and a falling out Shanann had with Chris’s mother about exposing their daughter Celeste, who had a severe allergy to tree nuts, to ice cream with nuts in it, Chris and his girlfriend were in regular, intimate communication. Nichol reportedly sent Chris numerous pictures of herself, which he stored in a “Secret Calculator” application on his phone. On August 4, the documents state, Kessinger searched Google for wedding dresses “for over two hours.” And on August 11, two days before the murders and the last time Kessinger and Watts would have a date, Kessinger reportedly performed online searches for explicit sexual positions. As CrimeOnline previously reported, Watts initially claimed to investigators that he had gone to a Colorado Rockies game on August 11 with co-workers, but he in fact spent the evening with Kessinger, who told investigators that he normally paid for their dates with gift cards he earned from his employers. On that date, Kessinger reportedly told investigators, Watts used a different card — and this transaction appears to have made its way to Shanann, who was in Arizona on a business trip at the time. The discovery documents show that Shanann was alarmed by the charge and that she searched the restaurant’s menu prices to see how Chris might have spent as much as he did. Stay with CrimeOnline as we provide additional coverage of the new information found in the discovery documents.